It was a beautiful January day when I left Kathmandu to visit the beautiful town of Bandipur. Less than 100km from the Royal Chitwan National Park, halfway between Pokhara and Kathmandu, this ‘village of 1,500 souls’ is located in the land of the Newars. 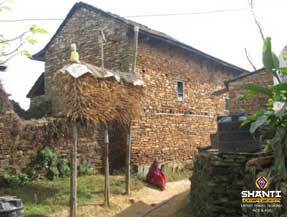 Bandipur, which is also called the ‘heart of Nepal’, is located on the edge of a ridge between two valleys. A real Shangri-la, the beauty and tranquility of the village mesmerized me! Untouched by touristic development, the views of Macchapuchhre, Annapurna 1 and 2 as well as the Manaslu are impressive. Only at an altitude of 1,000 meters, the climate is mild throughout the year. However, the monsoon period, which lasts from June to September, should be approached with caution, unless your approach to your vacation is ‘philosophical’! There was no road connecting this paradise well into the 1960s. This decade marks the beginning of major road infrastructure development in Nepal. 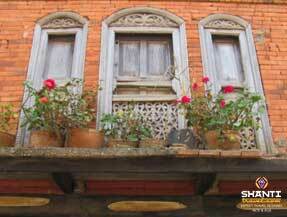 The architecture in this region with houses of brick and dark wood windows is typical Newari. Bandipur is a must, an almost obligatory stop on the road to Pokhara or while returning by land from Terai in the south. A haven to relax and unwind, Shanti Travel can include this destination on your Nepalese itinerary and book some great places for you to stay in.